Seacoast United is a Club for players of all ability levels based in the Hampton/Epping NH area and fields teams at the U9-U19 age groups. 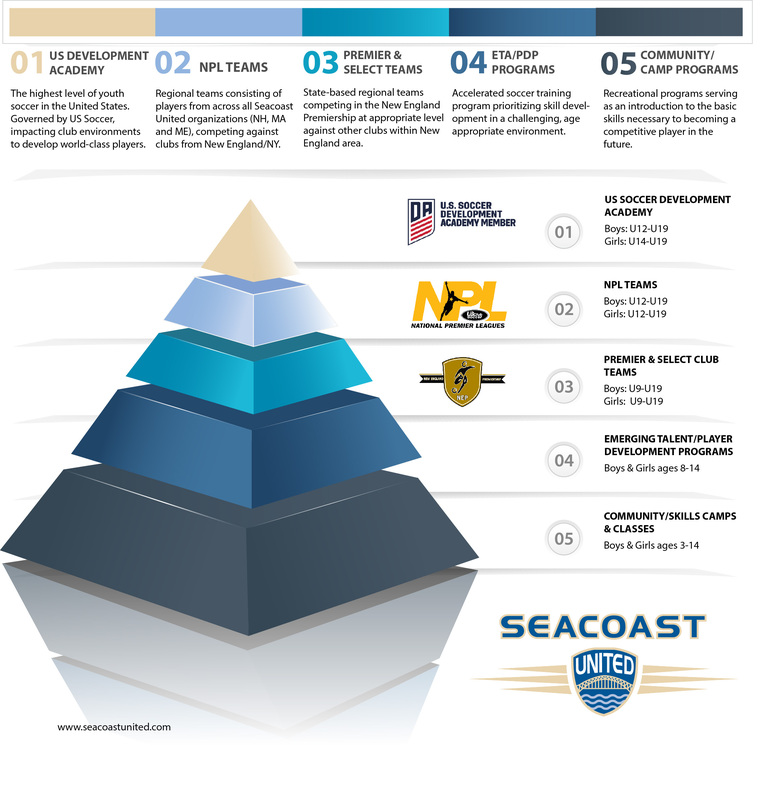 Seacoast United works very hard to provide opportunities for any player that wants to be involved. Our teams play in a range of leagues throughout the Northeast including the US Soccer Development Academy, the NPL (National Premier League) and New England Premiership. The focus of the Club is player development and the success of our teams comes as a byproduct of this philosophy. Seacoast United conducts open tryouts for all teams.